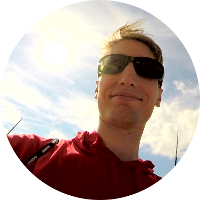 Having returned to sailing after finishing university, Luka Bartulovic started out shooting local, youth and disabled sailing events as well as yearly trips to Ottawa and Kingston covering various regattas. He's worked in close association with AQVA Quebec and 49er.ca and has a reputation for going out in the worst of weather with a mind for safety first and photography second. 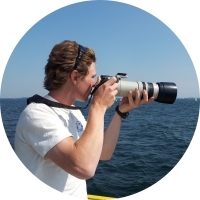 Over the years he's covered several National and World Championship regattas and specializes in dinghy action photography. Luka is currently based out of Pointe-Claire, Quebec where on windy days you'd be able to find him hanging on to a turtled Contender. Anthony Lowther is a former sailing instructor and experienced racer with a significant amount of time in numerous boats including 49ers, 29ers, Etchells and collegiate boats at a National and Worlds level. His cumulative on the water experience is invaluable in anticipating the action and for spotting critical moments. His engineering background drives him to continually try to innovate better ways to cover events. Anthony is currently based out of Pointe-Claire, Quebec where he can be found aboard anything that floats.